If you’re considering a presence on social media for your brand, Facebook is probably one of the first channels you thought of—after all, Facebook’s popularity cannot be overstated. There are 2.32 billion monthly active users of the platform. To put that in perspective, that is just a little lower than the entire populations of China and India, the two most populous countries, combined. Do you really need any other reason to jump on the Facebook bandwagon? Your target audience, whoever that is, is definitely on the channel. But choosing a platform is more than just the size of the network. The demographics matter, too. Luckily, Facebook has a well-rounded demographic, and here are some of the key ones you should know about, taken directly from Omnicore Agency’s study. 62% of people aged 65+ are on Facebook. 88% of online users ages 18-29 are on Facebook, 84% of those 30-49. Even more convinced? Alright. Let’s move on to the fun part. How do you market your brand on Facebook? And given that almost every brand you can think of has a presence on the channel, how do you succeed? If you’re creating a presence for your business on Facebook, the first thing you’ll need to create is a Facebook page. A Facebook page is where your business exists on the platform. This is where your audience will learn about your business, and interact with you. Description: A short description about your business and what you do. Categories: Categories are lists of different niches your business can exist in. Choose the most appropriate category. Contact information: You’ll be able to add your business phone number, website, and email address in this section. Location: The physical address of your business. After you put up your images and add details to your page, you can begin to customize it further. You can add a username to your business page, which is useful because you get to choose the URL for your page and your audience will be able to find you easier. The settings of your page will allow you to customize the tabs (such as Events, Videos, and Photos) that appear on your page. You can add or remove any tabs you want, depending on the needs of your brand. Here, you’ll also be able to add your team members to the page, manage their roles and permissions, connect your accounts on other social channels—such as your Instagram business profile—set up messaging options for your page, and even get your Facebook page verified. Once you’ve done all this, you can start sharing your page on any other channels you might have, and also by including it on your website. There are services that allow you to buy likes as well, but it is never a good idea to do this. Inflated numbers will not serve any purpose, and will also make it harder for you to judge how your page is actually growing. Use videos in your content – The Facebook algorithm ranks posts with more engagement higher, and video posts are currently dominating traffic. Be sure to reply to every comment – Facebook rewards meaningful interactions, and also uses the number of comments on posts to rank content. So if you can get a lot of comments under your posts, chances are you’ll be ranked higher. Having this strategy in place will guide you when you’re coming up with content ideas for your page. Before you start posting, you’ll need to clearly define who your content will be targeting. One way you can do this is to create the profile of an “ideal customer.” Get as specific as you can when you do this. Try to get a complete profile of your “ideal customer,” including things like age, gender, income level, interests, and even hobbies. This will help you target your promotion more accurately. The cornerstone of any social media marketing activity is engagement. Regardless of your goal in social media, engagement is always going to be a key component. That’s why it’s important to keep engaging with your audience. Reply to as many messages and comments as you can, because failing to respond will weaken your audience’s interest in connecting with you. You can also be proactive in your engagement by finding relevant conversations to you, and joining in on them. It’s a good idea to invest in a social media tool that offers a monitoring tool. You can use this tool to ensure that you’re not missing out on any relevant conversations. Oh, and you can also read our guide on social media engagement for more help! You’ll benefit from creating a brand persona for yourself. This will impact the tone of the content you put out, and how you engage with your followers. This is especially important because no one online wants to talk to a logo. They want to talk to real people. Giving your brand a persona will make it seem more authentic and real. And if you need help with creating a persona, our guide will help you get started. Now that you’ve set up your page, and got the basics down, it’s time to understand the kind of posts that you can make on Facebook. Text posts are posts that contain only text. You can add emojis to these posts to help them stand out. Link posts show a preview of the link that you used, along with an image, a heading, and a description. You can also add some text to these posts. Video posts are posts that you attach a video to. These are the most popular types of posts on Facebook, getting twice as much engagement as all other types. Stories are the latest type of content you can add on Facebook. They work like stories on other platforms, like Snapchat, Instagram, and WhatsApp. In essence, it’s a vertical image or video that disappears within 24 hours. While most of these are pretty straightforward, it’s important to understand how powerful Stories are. With 150 million daily active users, and a growth rate that’s 15 times that of feed sharing, it’s an important tool in your marketing kit. You can use stories on Facebook to share behind-the-scenes footage of your brand, or give them a sneak peek of a release your brand is making. Another thing you can do is to use Stories to make flash sales, or offer one-day discounts, because the content only stays up for 24 hours, anyway. Facebook also has a poll feature. This is useful because studies say that 79% of people want brands to demonstrate that they care about them. Polls are a great way to do that. You can use this feature to ask your audience for their opinions, or their feedback, letting them know that their feedback is valued. You can also run contests on Facebook to help you with your marketing efforts. The kind of contest you run will depend on your objective. If you’re looking to spread brand awareness, you might ask your followers to take pictures or videos of themselves doing a particular thing. A great example was the ALS Ice Bucket Challenge. It wasn’t really a contest, in the sense that it had no winner, but it did end up generating a huge amount of awareness and money for research into ALS. You could also host giveaways, and add a form that people need to fill out before taking part. This way, you can collect data about your audience, as well. Posting on Facebook, however, is not about just knowing the kinds of posts you can make. There’s a lot of planning that needs to go into making these posts. For example, we’ve already seen that posts with media are more popular than other kinds of posts. But you should also consider including CTAs in your posts, and decide how often you’re going to post. We recommend investing in a social media management tool that will make this process much easier for you. Some of them come with a calendar tool that you can use to plan and organize your content. If you use Zoho Social, it can also tell you the best time of day to make your posts for your brand, based on how your posts have performed in the past. If there’s an important update that you want people to take note of, you can “pin” the post. This will ensure that the post is always shown at the top of the feed, and other posts—even new ones—are shown below it. This is a great way to get more eyeballs on the content you want to push. One of our favorite tools in the Insights section is “Pages to Watch”. You’ll find this in the Overview section of Insights. As you add pages to this section, you’ll be able to see a quick overview of their performance—how many likes they’ve gained in the last week, how many times they’ve posted, and the engagement they’ve received. 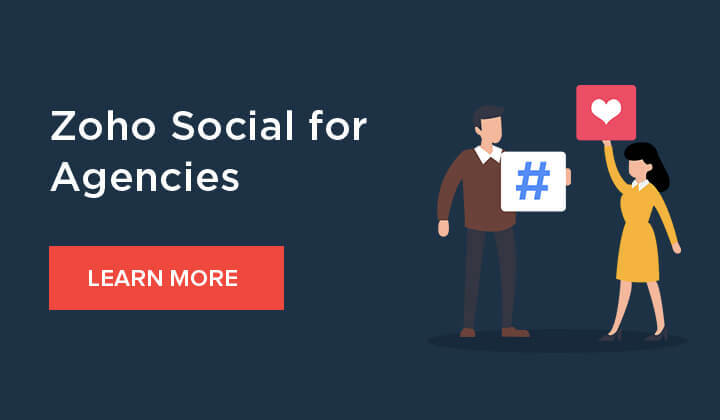 When you click on the brand’s icon, you’ll get a list of their posts, from “most engaging” to “least engaging.” This way, you can check all their top posts in a few seconds. It’s recommended that you watch the pages of your top competitors, pages in your space that you admire, brands in your space with a strong social media presence, and even influencers in your space. When you follow all these pages, you’ll be able to get an idea of the trends that are developing, and you’ll also know what kind of posts generate high engagement. This can be very useful for you when crafting your own content. Of course, you could also invest in a social media management tool. Zoho Social, for example, can provide you with a lot of insights for your Facebook page, and you’ll be able to automatically schedule these reports to be sent to your inbox at regular intervals. If you’ve gotten the hang of everything we’ve mentioned so far, you’re good to start running your page. You’ll be able to handle almost everything—optimizing your page, crafting your content, and checking your results to see how your page is performing. But it’s also important for you to understand how advertising on Facebook works. While organic reach is still essential, and very much relevant, many brands are advertising their content on social media. To compete with them, you’ll have to do it too, or you’ll be left behind. The Facebook Ad Manager tool is very powerful. You’ll be able to target people based on their location, age, gender, languages they speak, interests, behavior, and even their connections. Facebook offers 15 different objectives to choose from. Pick the one that’s relevant to you. Next, you’ll need to specify who you’d like to target with your ads. You can get really granular with this, and make a highly targeted ad, or you could simply set a location, and run your ad to the people in a general location. After you’ve selected your objective and your audience, it’s time for you to set your budget. You can do this in two ways. Daily represents the average amount of money you want to spend per day on your ad. Lifetime represents the total amount of money you want to spend on that particular ad. And all that’s left is creating a copy for your ad, and including any media you may want. You can also choose to run the ad on an existing post on your page, as well. On Facebook, you can also set up lead ads through the Ad Manager. This will help you collect information about your prospects without them having to go to an external site. They work through a lead generation offer, such as offering discount codes to promote sales. Your audience will have to submit personal information through a lead form to access this code, and you’ll be able to customize the fields on the form. This form exists within the Facebook app, so your target audience doesn’t need to leave Facebook at all. Once they fill out the form, they’ll get access to your discount code. And you’ll have the details for a lead that you can nurture later. Another thing you might want to try on Facebook is groups. Facebook groups are the easiest way to connect with like-minded people, share information, and even build relationships with them. There are two different ways you can approach Facebook groups. Firstly, you could join groups that are relevant to your industry, and then offer solutions to people who are looking for them. For example, if you’re working in a travel agency, you might want to join a group for travel lovers. Here, you have a ready-made audience that you know will be interested in what you have to offer. However, it’s good practice to not directly advertise your product. In fact, many groups on Facebook have guidelines in place to prevent this, and you might even get blocked for it. Offer real solutions to people, and plug your product when you can do it naturally. Secondly, you could create your own Facebook group for people who already use your product, or who are fans of your product. You can share updates about your product here, and use it to interact with your customers directly and learn what they want to see from your end. You could also provide these people with any support that they require. Remember that you aren’t restricted to doing just one of these. It’s recommended that you both join a group relevant to your industry and run your own group for maximum presence. That’s pretty much it on Facebook! While we’ve covered most of what you’ll need to know to market yourself successfully on this platform, it’d also help your efforts if you have a presence on other services affiliated with Facebook. Instagram, Facebook Messenger, and WhatsApp are all owned by Facebook, and each of them can add a different dimension to your overall social media marketing strategy. Instagram is great if your target audience is young, and it’s a network that thrives on media content. We’ve written a few guides on how you can use it, including a guide to the IGTV feature, a guide on Instagram ads, and a guide to using Instagram stories. Both Messenger and WhatsApp are platforms that allow you to chat directly with your customers. This is a lot more advantageous for brands because it establishes a sense of personal connection with you, and it makes your brand a lot more trustworthy. Feel free to check out our guides for more info. And that’s it from us for today! If you know of something we’ve missed, or would like to discuss things further, feel free to leave a comment below, and we’ll get in touch with you ASAP!